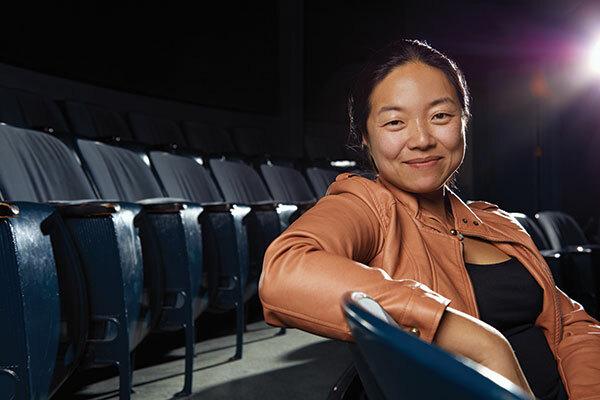 Desdemona Chiang is a stage director based in Seattle, WA and Ashland, OR. Co-Founder of Azeotrope (Seattle). Directing credits include Guthrie Theater, South Coast Repertory, Oregon Shakespeare Festival, Pittsburgh Public Theatre, Baltimore Center Stage, California Shakespeare Theater, Seattle Repertory Theatre, Playmakers Repertory Company, Long Wharf Theatre, Seattle Children’s Theatre, ACT Theatre Seattle, American Shakespeare Center, Seattle Shakespeare Company, Heritage Theatre Festival, Book-It Repertory, Aurora Theatre Company, Seattle Public Theatre, Shotgun Players, Crowded Fire Theatre Company, Azeotrope, Impact Theatre, Playwrights Foundation, Golden Thread Productions, Washington Ensemble Theatre, One Minute Play Festival, Ohio Northern University, University of Washington, and Cornish College of the Arts, among others. Assisting and dramaturgy credits include: Oregon Shakespeare Festival, Playmakers Repertory Company, A Contemporary Theatre, California Shakespeare Theater, Arizona Theatre Company, Intiman Theatre, Mark Taper Forum, Magic Theatre, Theatreworks, Rattlestick Playwrights Theatre, among others. Intersection for the Arts Triangle Lab Artist-Investigator. Adjunct Faculty, Cornish College of the Arts. Awards/Affiliations: Vilcek Prize for Creative Promise in Theatre, SDC Sir John Gielgud Directing Fellowship, Drama League Directing Fellowship, TCG Young Leader of Color, Lincoln Center Theater Directors Lab and Directors Lab West. Gregory Award Recipient for Outstanding Direction. BA: University of California at Berkeley. MFA Directing: University of Washington School of Drama.